Maca is a cruciferous vegetable in the mustard family, related to radishes and turnips. 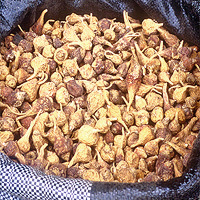 Used as food and medicine in the Andes Mountains of Peru, it is not known to occur naturally anywhere else in the world. The four major cultivars of maca are red, black, cream, and purple; none has been definitely proven to be medicinally superior to any other. In a double-blind study, treatment with maca increased sexual desire in young and middle-aged men. Traditionally used for balancing female hormones, maca appears to be beneficial in treating menopausal symptoms. Studies have shown that maca can reduce the negative effects of stress.